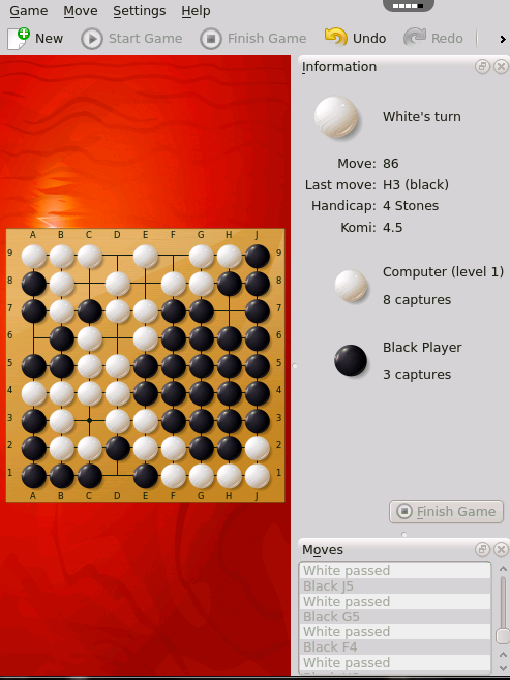 cool go game. by default shows moves but you can put that panal away. the board is so small until then. use the mouse thing makes it ok to play. Kigo is an implementation of the popular Go game. 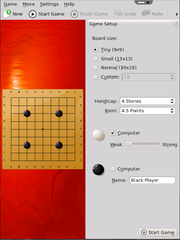 Go is a strategic board game for two players. It is also known as igo (Japanese), weiqi or wei ch'i (Chinese) or baduk (Korean). Go is noted for being rich in strategic complexity despite its simple rules. 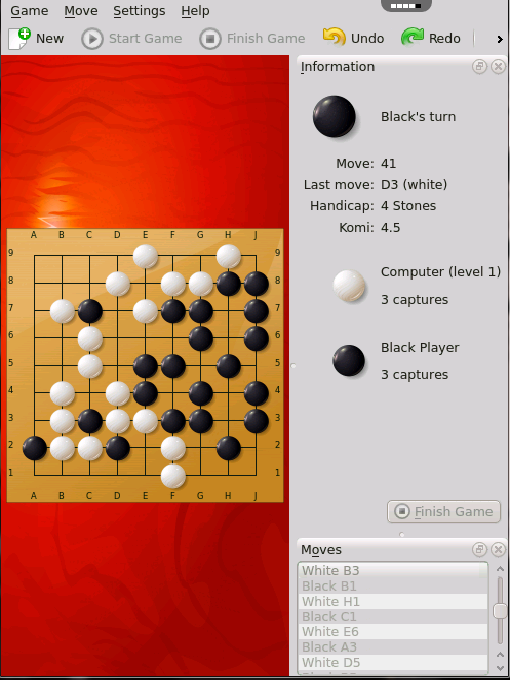 The game is played by two players who alternately place black and white stones (playing pieces, now usually made of glass or plastic) on the vacant intersections of a grid of 19x19 lines (9x9 or 13x13 for easier games).